In honor of its 35th anniversary, The Karate Kid is returning to movie theaters for two days only as presented by Fathom Events. The film will screen in participating theaters nationwide on Sunday, March 31 and Tuesday, April 2. A huge hit from summer 1984, The Karate Kid stars Ralph Macchio as Daniel, a bullied teen who learns karate from Mr. Miyagi (Pat Morita), an elderly handyman who is also a martial arts master. He teaches Johnny that karate is about more than fighting, a vital life lesson that comes into play when Daniel faces off against Johnny, the leader of a vicious gang of karate school bullies known as Cobra Kai. Morita was nominated for a Best Supporting Actor Oscar for his work in the film. Elisabeth Shue and William Zabka also star in the John G. Avildsen film. The Karate Kid is looking better than ever restored from the original camera negative to a stunning 4k presentation. This restoration will also be available on 4k Ultra HD from Sony Pictures Home Entertainment on April 16 following the film’s return to the big screen. This 4k UHD release also includes a new anniversary featurette, “Remembering the Karate Kid,” featuring interviews with Macchio, Zabka, and Martin Kove. 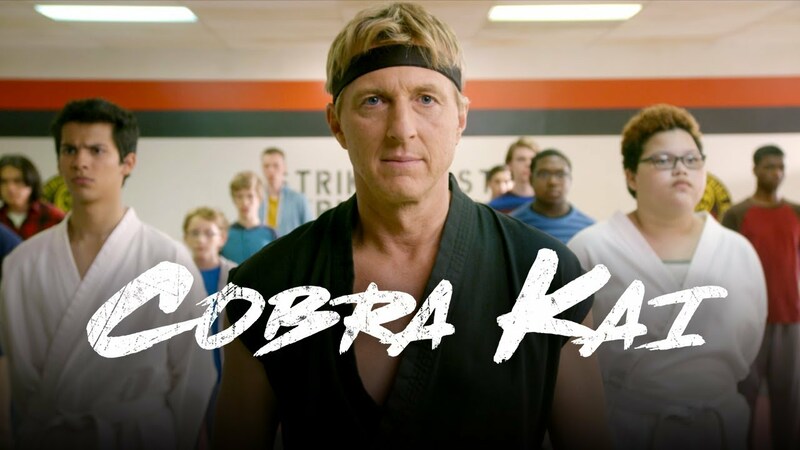 Diehard fans of The Karate Kid will get an extra treat at the movie theater showings of the film — an exclusive sneak preview of season two of YouTube Original series Cobra Kai will screen as part of the festivities. Last year, Macchio and Zabka reunited for the first season of the new TV series, in which Daniel opens his own karate studio, Miyagi-Do, to face off against old arch-rivals Cobra Kai. Tickets for the film’s cinematic return will be available beginning Feb. 15 on the Fathom Events website or at participating theater box offices. The 4k Ultra HD release will be available beginning April 16. Cobra Kai leader Johnny Lawrences’ famous Halloween night skeleton character. Order HERE for $18 per pair. 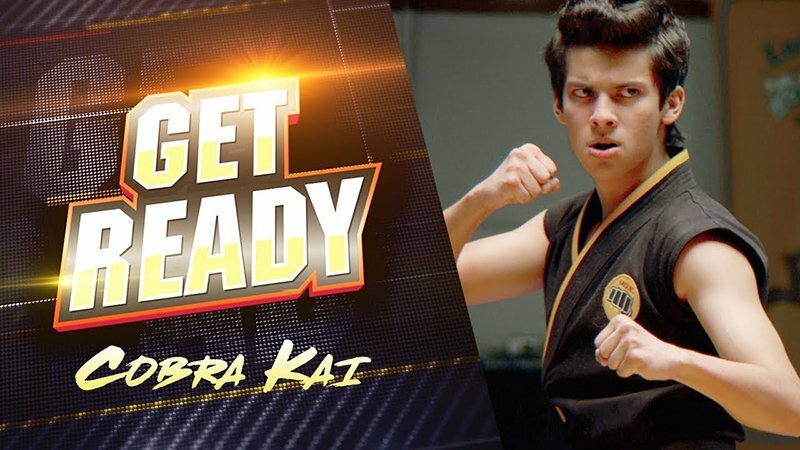 YouTube Red has released a new promo for their upcoming 10 episode half-hour series, Cobra Kai, highlighting the ultimate tournament taking place in the series between old and new rivals. While the official trailer covers the backstory for the follow-up to the original Karate Kid films, this promo showcases Daniel and Johnny’s students fighting in an epic tournament. 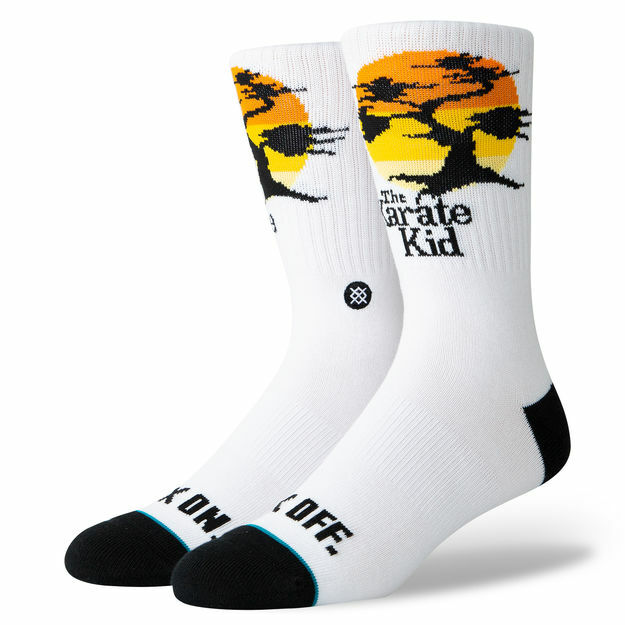 Cobra Kai features Karate Kid Ralph Macchio reprising his role as Daniel La Russo in the series — set 30 years after The Karate Kid Part III — to face off once again with his rival Johnny Lawrence, played once again by William Zabka. The two iconic characters reunite after the events of the 1984 All Valley Karate Tournament. Now living in the affluent hills of Encino, Daniel LaRusso (Ralph Macchio) leads an enviable life with his beautiful family, while running a successful string of car dealerships throughout the valley. Meanwhile, his high school adversary, Johnny Lawrence (William Zabka), whose life has taken a rocky turn, seeks redemption by reopening the infamous Cobra Kai karate dojo. Their lives inevitably become intertwined and the rivalry is reignited, setting forth the next generation of “karate kids” in Cobra Kai, a YouTube Red Original Series. 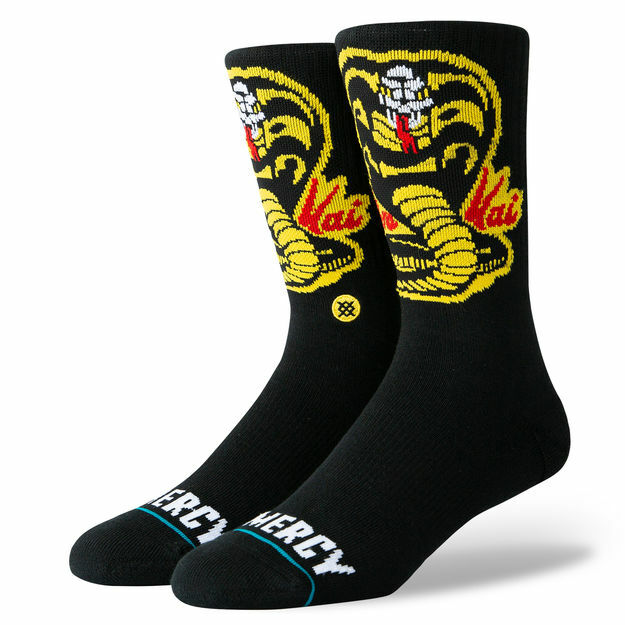 Cobra Kai is produced by Overbrook Entertainment in association with Sony Pictures Television. Cobra Kai also stars Xolo Maridueña (Parenthood), Tanner Buchanan (Designated Survivor), Courtney Henggeler (Mom) and Mary Mouser (Freakish). Guest starring in the show is esteemed Primetime Emmy Award-winning actor Ed Asner. Writing the series are Josh Heald (Hot Tub Time Machine), Jon Hurwitz and Hayden Schlossberg (Harold & Kumar). They will also be executive producing along with Susan Ekins, Will Smith, James Lassiter, and Caleeb Pinkett. Hurwitz and Schlossberg take on directing duties. Cobra Kai premieres on You Tube Red on May 2, 2018. The official trailer for YouTube Red‘s 10-episode half-hour series Cobra Kai, has been released. The original Karate Kid, Ralph Macchio, reprises his role as Daniel LaRusso in the series — set 30 years after The Karate Kid Part III — to face off once again with his rival Johnny Lawrence, played once again by William Zabka. Check out the show when it premieres on May 2! In the highly-anticipated return of two iconic characters, the arch-rivals from the legendary Karate Kid film series reunite over 30 years after the events of the 1984 All Valley Karate Tournament. Now living in the affluent hills of Encino, Daniel LaRusso (Ralph Macchio) leads an enviable life with his beautiful family, while running a successful string of car dealerships throughout the valley. Meanwhile, his high school adversary, Johnny Lawrence (William Zabka), whose life has taken a rocky turn, seeks redemption by reopening the infamous Cobra Kai karate dojo. Their lives inevitably become intertwined and the rivalry is reignited, setting forth the next generation of “karate kids” in Cobra Kai, a YouTube Red Original Series. 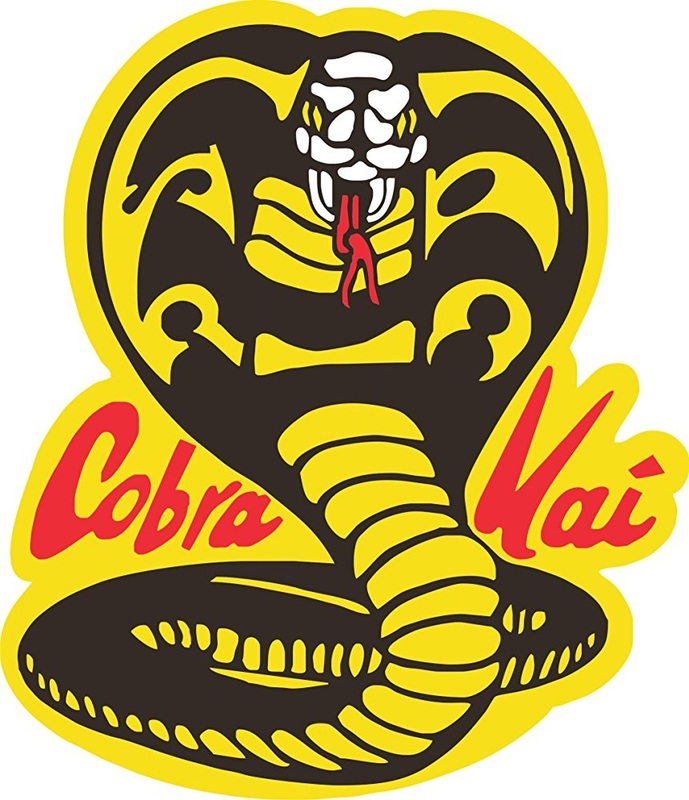 Cobra Kai is produced by Overbrook Entertainment in association with Sony Pictures Television. 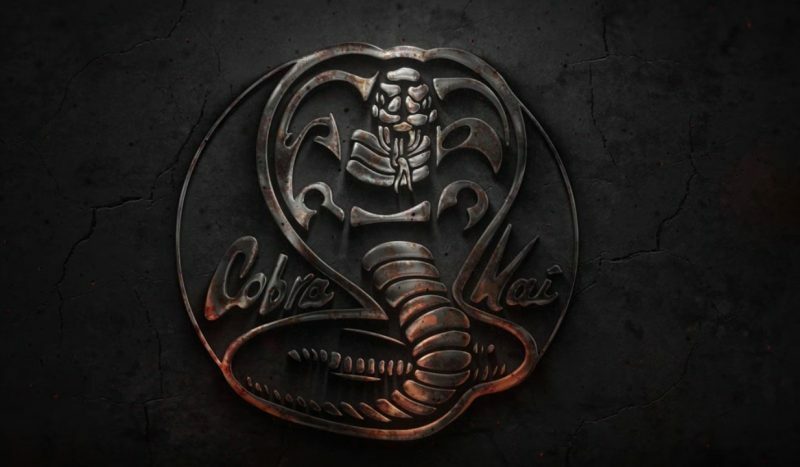 A second teaser trailer for Cobra Kai, a YouTube Red 10-episode half-hour comedy series set 30 years after The Karate Kid Part III, has been released. The original Karate Kid, Ralph Macchio, reprises his role as Daniel LaRusso to face off once again with his rival Johnny Lawrence, played once again by William Zabka. Long after Daniel-san triumphed over Johnny twice in the All Valley Karate Tournament, both martial artists have grown up and gone on to live different lives. With Mr. Miyagi’s life lessons, Daniel has found personal success in his own family and career as a car dealer. Johnny, however, has fallen on hard times. Seeking to reclaim what glory he had from the past, Johnny reopens the infamous karate dojo that he once ruled as its ace student, and Daniel is having none of it. Watch out for Cobra Kai on YouTube Red later this year. Johnny Lawrence and Daniel LaRusso aren’t the same people they were in high school— but their rivalry hasn’t changed one bit. The doors of Cobra Kai have reopened in this teaser trailer for the Karate Kid sequel series, named after the infamous karate dojo. “I just don’t know why you’d ever want to bring back Cobra Kai,” Ralph Macchio’s Daniel LaRusso tells his former high school bully, William Zabka’s Johnny Lawrence. 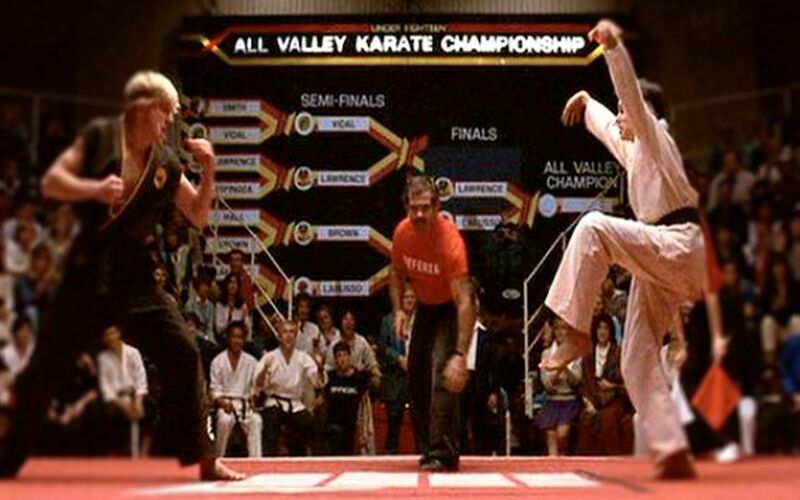 It’s been nearly 34 years since moviegoers saw these two face off at the All Valley Karate Tournament in 1984’s The Karate Kid. They met again on screen two years later with The Karate Kid Part II, and now Johnny is seeking redemption. With Johnny’s life taking a turn for the worse, the first Cobra Kai teaser sees flashes of him reopening his old dojo stomping grounds. That doesn’t sit well with Daniel, who has since been leading a picture-perfect life as a family man and successful car dealer. Cobra Kai will see Xolo Maridueña (Parenthood) as Miguel Diaz, a victim of high school bullies who’s taken under Johnny’s wing; Tanner Buchanan (Designated Survivor) as Johnny’s son, Robby Keene, who’s determined to prove himself to be nothing like his father; and guest-star Ed Asner as Johnny’s old-school stepfather, Sid Weinberg. Courtney Henggeler (Mom) will play Daniel’s wife and business partner, Amanda, while Mary Mouser (Freakish) plays their firecracker daughter, Samantha. Josh Heald (Hot Tub Time Machine) wrote this new story for Cobra Kai with Jon Hurwitz and Hayden Schlossberg (Harold & Kumar). All three will executive produce the series with Susan Ekins, Will Smith, James Lassiter, and Caleeb Pinkett. Hurwitz and Schlossberg will also direct much of Cobra Kai, which will debut later this year on YouTube Red. Check out the first-ever released footage of Cobra Kai, the new YouTube Red Original Series, coming soon. Cobra Kai will debut next year on YouTube’s subscription service, YouTube Red. The 10-episode series is described as a comedy that picks up 30 years after the events of the original movie as down on his luck Johnny Lawrence, again played by Billy Zabka, re-opens the Cobra Kai dojo. 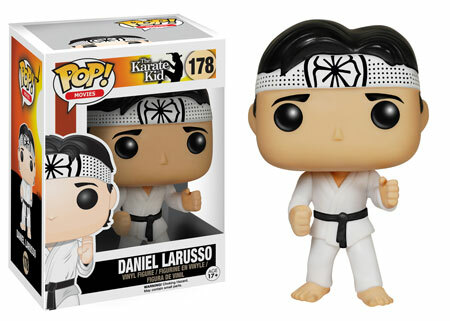 Naturally, this catches the attention of Johnny’s former rival, Daniel LaRusso, played by Ralph Macchio. While now successful in life, he still misses his late mentor, Mr. Miyagi, who taught “Daniel-san” karate while sneakily forcing him to renovate his house and wax his car. Look for Cobra Kai to come to YouTube Red in 2018. 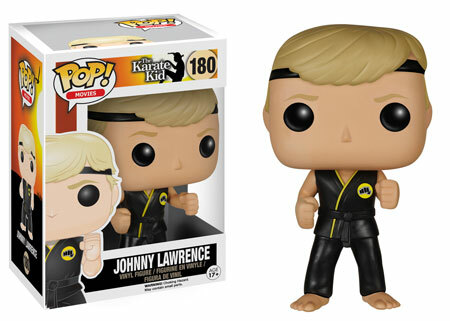 The legendary martial arts film, The Karate Kid, has crane kicked its way into the Pop! world! 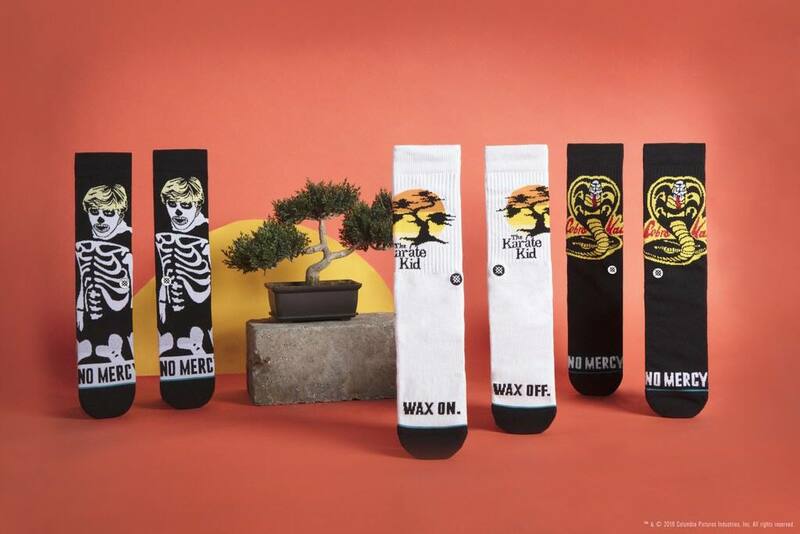 Daniel LaRusso and his nemesis, Johnny Lawrence, are prepared for battle! 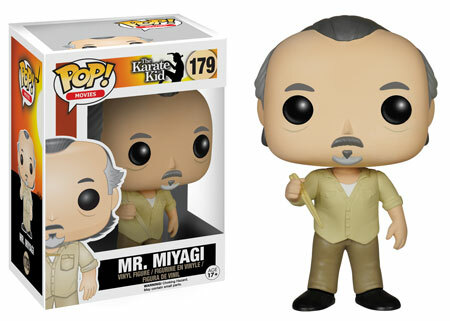 The incomparable teachings of Mr. Miyagi are represented in his figure by the chopsticks he holds. Like he says to Daniel: A man who can catch a fly with chopsticks can accomplish anything! Look for these 3 Funko Pop! Vinyl figures to arrive in June 2015.